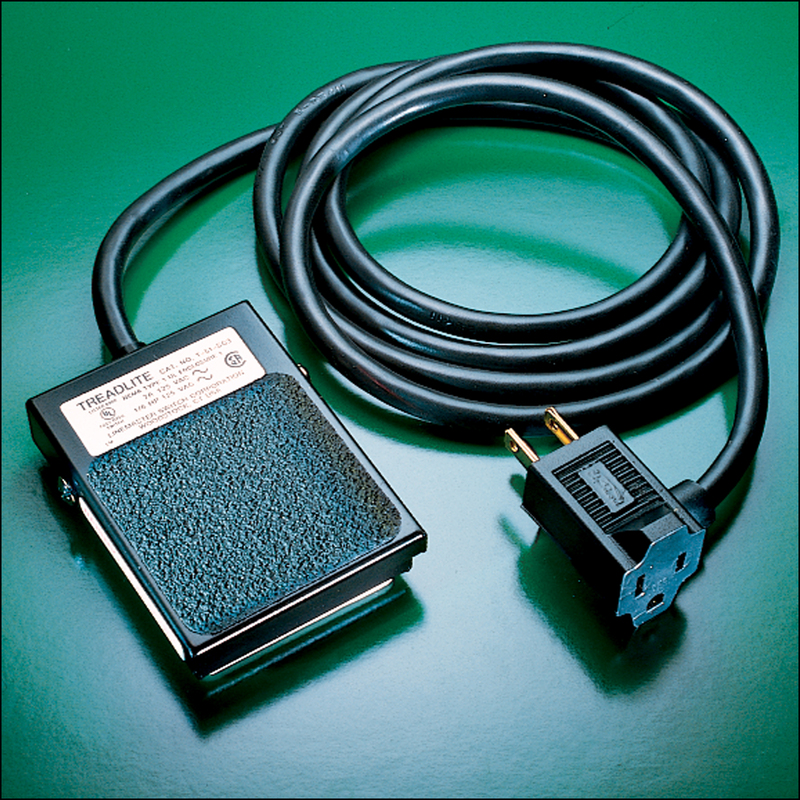 This high quality industrial foot switch is ideal for use with airbrush compressors, scroll saws, disk sanders, drill presses, etc. Press pedal for 'on,' release for 'off.' Has no-slip rubber pads on both sides. 10 amp maximum capacity. 6' cord.